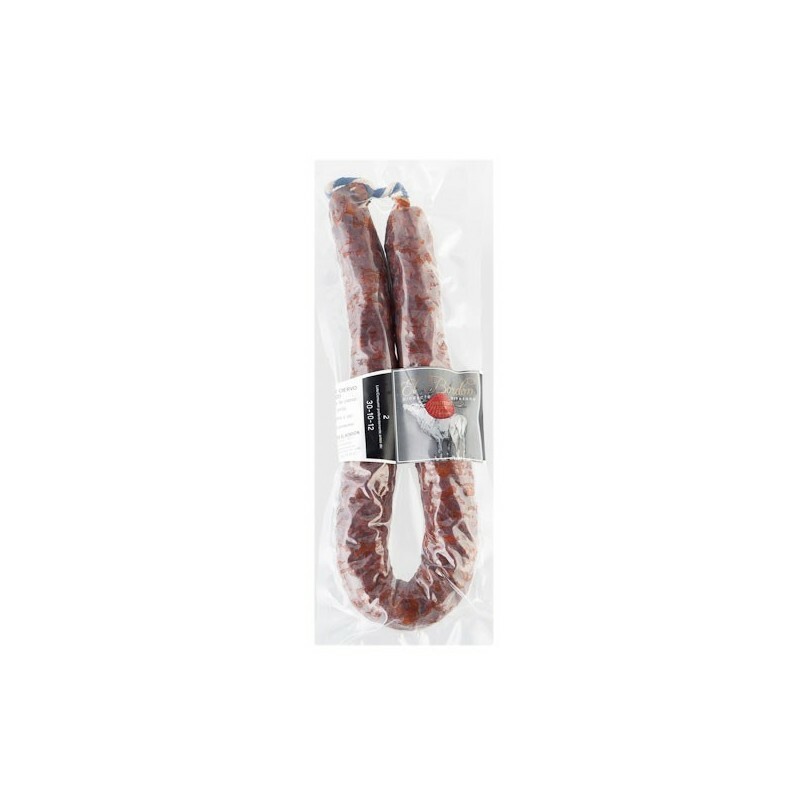 Our wild deer cured chorizo is made from the lean meat of wild deer hunted in the mountains of the Basque Country. 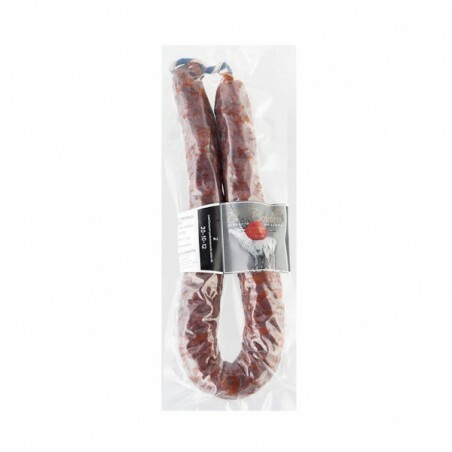 The chorizo is made using only natural ingredients producing a dark, sweet, succulent and tasty sausage that is gently seasoned with paprika. Serve at room temperature, sliced thinly, enjoy with fresh bread and a glass of one of our red wines. El Bordon produces highly valued homemade sausages, traditionally dried in barns and warehouses with a closely controlled temperature and humidity. El Bordon products are both fresh and cured, including different types of sausages such as sweet, spicy, deer and wild boar. There is also the white sausage and traditional natural txistorra a kind of chorizo typical from the Basque Country what is eaten fried or boiled. El Bordon makes its products following the family tradition of home slaughter ensuring a healthy and aromatic meat that is low in cholesterol. Due to the natural ingredients, care, slow drying and hand-crafting, El Bordon are known for their quality, aroma and homemade taste.